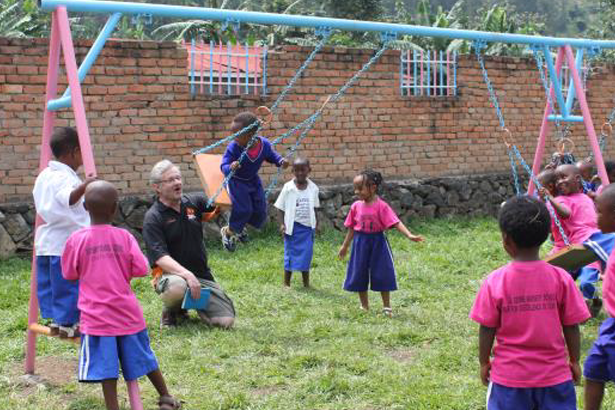 Like most nursery schools in Rwanda parents pay termly fees, but these barely cover the costs of rent, bills and staff. La Germe Nursery School (Germaine’s School) has few early learning resources but the teachers and 125 pupils are enthusiastic and there’s lots of potential for this little school. PF came to know Germaine when she was employed as a teacher at the Point Foundation Nursery School set up at Noel Orphanage in 2013. 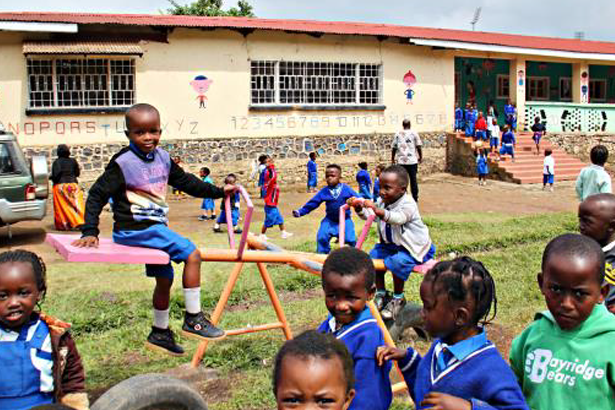 When the Noel Orphanage closed down, so did the PF school and playground. The swings and see-saw were donated and rebuilt here. The school has no other play equipment for the children, but there is plenty of space in the grounds for future projects. 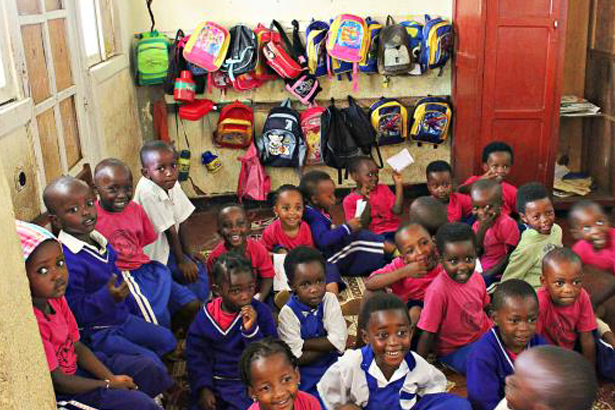 The 3 small classrooms are cramped and many children were sitting on the floor for lessons. 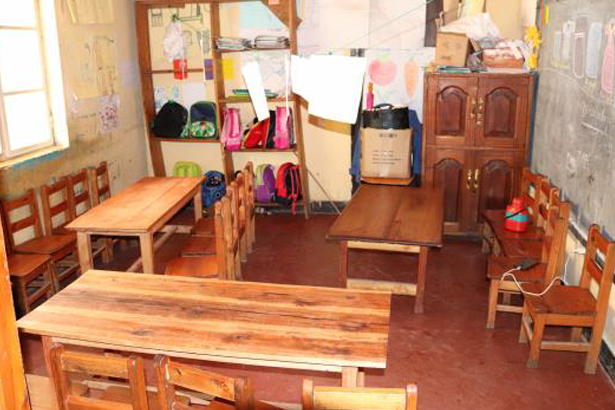 Funds bought 100 chairs and 10 desks, giving pupils a better environment to learn in. 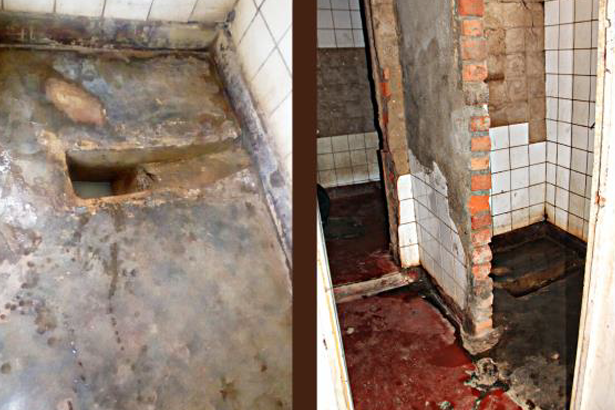 The only toilets were an old shower base cubicle and hole drop in the ground with no flushing water or doors. Not an ideal arrangement for over 100 children and quite a health hazard. 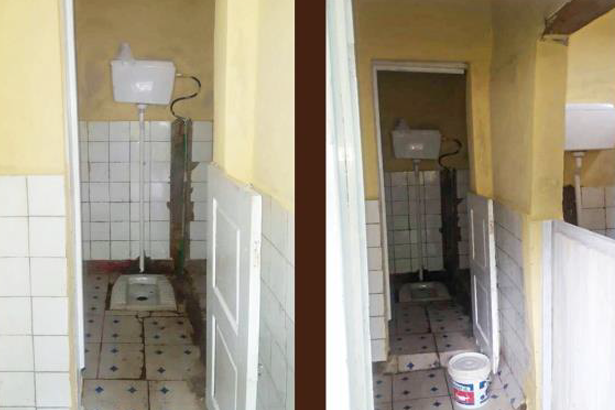 In the summer of 2017 PF refurbished both toilets, re-tiled, connected to mains water and put in doors. It’s a big improvement, but often hampered by Gisenyi’s main water supplies which only work a few days a week. The 3 teachers & their helpers scrape by with low wages and run classes with few teaching resources. 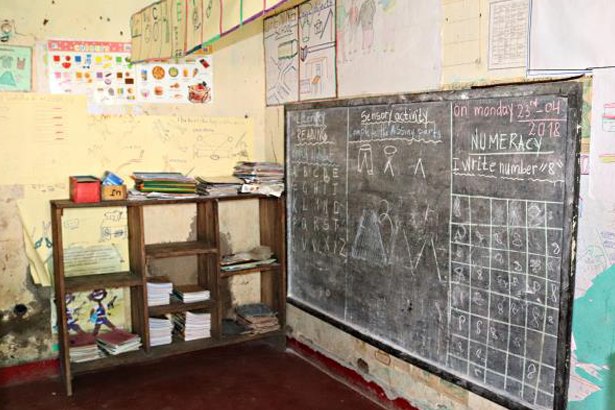 There are not enough text books and only limited paper and pens for all the children. 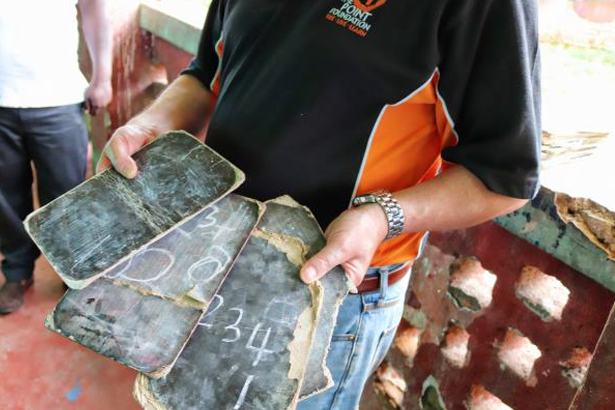 Pupils still use slate boards or cut up plastic sacking to write on. This year PF are looking to provide more funding to support better teaching resources for the school.